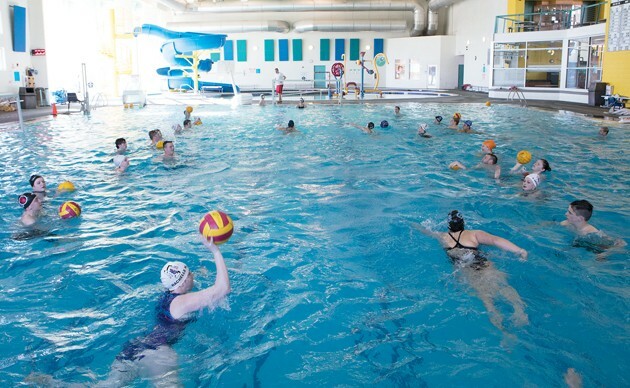 The Tooele High School water polo team practices on Monday at the Pratt Aquatic Center. The pool was closed for one month for repairs, but reopened on Monday. 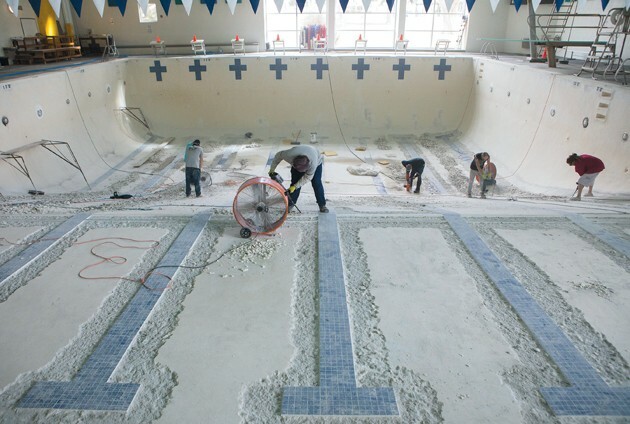 Workers with Johansen’s Swim Pool Plastering remove plaster from the lap pool last month. Pratt Aquatic Center opened on Monday after being closed for one month for repairs. Monday was a good day for local swimmers with Tooele City’s Pratt Aquatic Center back in business after being closed one month for repairs. Water polo players were some of the first to take a plunge with a 4 p.m. practice Monday. The pool closes each year for one to two weeks for cleaning and minor repairs, but this year it was closed a full month. Crews from Swim Pool Plastering, Inc. completed the work. 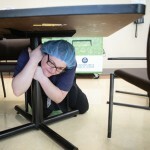 There were about 10-12 people working at a time on the pool, Roth said. The project also included refurbished stairs on the waterslide. The stairs were repaired and received some fresh paint. “Looks really good,” Roth said. The estimated cost for the repairs to the lap pool was about $75,000. 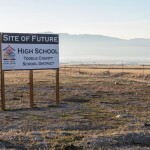 The facility is named in honor of Leigh Pratt, Tooele’s first pool manager and swimming coach who compiled a record of 166-9 and nine-straight state championships while coaching at Tooele High School. The pool is open 5:30 a.m. to 9:30 p.m. Mondays-Thursdays, 5:30 a.m. to 8 p.m. Fridays, and 9 a.m. to 8 p.m. Saturdays. The pool is closed Sundays. 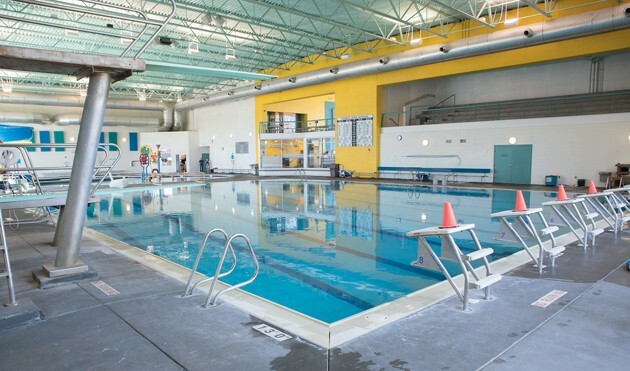 For more information about swimming lessons, programs and fees at the pool, call 435-882-3247 or see the city’s website at tooelecity.org and click on the Pratt Aquatic Center tab.